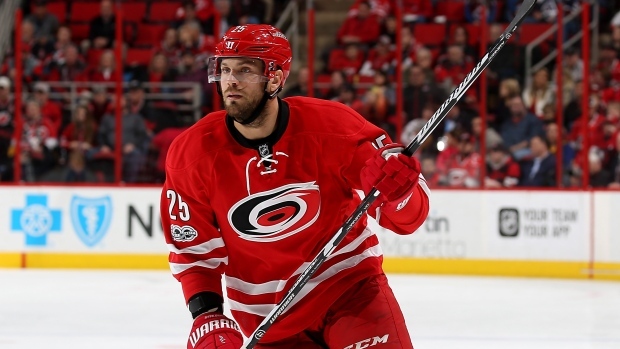 RALEIGH, N.C. — The Ottawa Senators have acquired forward Viktor Stalberg from the Carolina Hurricanes in exchange for a draft pick. In a deal announced Tuesday, the day before the NHL's trading deadline, the Hurricanes receive Ottawa's third-round pick this year. Stalberg, an unrestricted free agent after the season, signed a one-year, $1.5 million deal with Carolina last July. He had nine goals and three assists in 57 games with the Hurricanes. The Senators, in second place in the Atlantic Division, previously acquired Alexandre Burrows from Vancouver on Monday as part of their playoff push. Carolina unloaded another pending free agent after trading defenceman Ron Hainsey to Pittsburgh last week. The Hurricanes, in last place in the Metropolitan Division, have 11 picks in the June draft, including seven in the first three rounds.